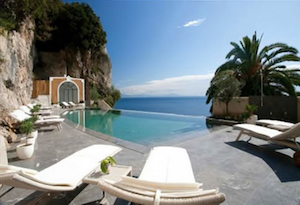 The Italian boutique tour operator Luxo Italia now offers travelers a bevy of exclusive privileges and insider experiences at iconic Italian sites in Rome, the Amalfi Coast and Capri with its new Signature Tour. The tour includes private behind-the-scene tours of historic favorites including the Sistine Chapel, a sunset yacht cruise along the Amalfi Coast, private culinary experiences at historic sights, drinks at the Pope Summer Residence, helicopter transfers, luxury hotels and more. The experience begins for guests in Rome where a Mercedes-Benz S-Class transports guests to Vatican City to experience two thousand years of history, art, influence, beauty and spirituality and a private tour of The Sistine Chapel. Led by one of the most knowledgeable and passionate guides, the visit starts from the doors inaugurated for the 2000 Jubilee, and then moves through the Octagonal Courtyard to admire the impressive Laocoon statue, followed by the ancient Gallery of the Candelabra and the Gallery of the Tapestries inspired by Raphael and surfaced with tromp l’oeil artistry. Next, the tour proceeds to the most comprehensive collection of maps of Italy ever frescoed in the 16th century. 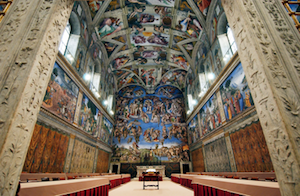 Finally, entering the Sistine Chapel in privacy and solacing silence, the visit presents an opportunity for contemplation originally reserved for Renaissance Masters and the Papal Clergy and concludes by going through the frescoed halls of the Vatican Library. The whole experience offers a unique view of one of the most extensive art collections of the world, with great Renaissance masterpieces by Michelangelo, Raphael, Perugino and Ghirlandaio. Following a day of history, aperitifs are served at the Apostolic Palace of Castel Gandolfo, the Pope’s summer residence, before a private dinner at Palazzo Colonna, one of the oldest and largest private palaces of Rome originally built in the 14th century, where a curated menu with wine pairing curated by a top Italian Chef greets guests. While staying three nights in the heart of Rome at the Fendi Private Suites, guests will also enjoy a private tour of the Palazzo Fendi, the renowned company’s flagship boutique that combines its commitment to creativity in all forms, from fashion collections and architecture to ever-changing installations created in collaboration with emerging artists. For the second part of the tour, a luxury helicopter will transport travelers from Rome to Amalfi where they will enjoy 6 nights at the Grand Hotel Convento di Amalfi. 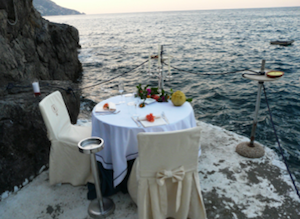 From here, guests will board on an once-in-a-lifetime sailing excursion along the Amalfi coast during sunset. Cocktails aboard are followed by a unique dinner set alongside the sea paired with a distinctive Italian wine tasting. Day getaways to the architectural and historic wonderlands of Ravello and Pompeii to visit the 11th-century Villa Cimbrone, famous for its intoxicating gardens and panoramic views over the Mediterranean, and cobbled streets of the Roman city preserved by the lava of Mount Vesuvius, are also included. As are a private yacht cruise to Capri with lunch and behind-the-scenes visits to both the Mozzarella di Bufala (Buffalo Mozzarella) and Limoncello factories. Additional time in Amalfi can be spent strolling the narrow cobbled paths that lead travelers up and around pastel-colored houses nestled between the craggy mountains, looking down onto pristine waters that sparkle in deep blue and emerald green. The Signature Tour Experience from Luxo Italia begins at €55.000 ($65,000 USD) per couple. For more information or reservations, email info@luxoitalia.com or visit http://www.luxoitalia.com. Luxo Italia is a boutique tour operator based in Milan, Italy. Founded by hotel expert Andrea Degasperi and culinary connoisseur Paul Lewis, the company specializes in tailor made travel experiences throughout Italy and Monaco. With a meticulous attention to logistics and details, Luxo Italia has an eye for matching each traveler’s personality with the perfect “sense of place.” From arts, culture and wellness to gastronomy, wine and fashion, Italy’s secret pleasures are uncovered for travelers through custom designed itineraries. For more information, visit http://www.luxoitalia.com.